Shanghai, China, June 6, 2016 /ChinaNewswire.com/ - Sofitel hotels & resorts will be celebrating the annual Fete de la Musique event for the seventh consecutive year this June. Fete de la musique is a French musical event held annually during the European Summer since its inception in 1982. This year, the theme for World Music Day is "Vivre ensemble la musique" (Musical Togetherness). Promoting French culture is one of Sofitel's four key pillars that incorporates Design, Culture, Gastronomy and Wellness under the brand. Each Sofitel property will feature its own musical programme that represents this year's theme as a major highlight under the brand. In Greater China, guests staying at the Sofitel hotels and resorts can look forward to exciting performances during the week of 21 June. 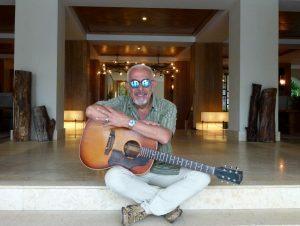 Sofitel Macau at Ponte 16, Sofitel Guangzhou Sunrich and Sofitel Sanya Leeman Resort will stage an artistic "Fly Like a Song" musical, composed by the legendary French singer and guitarist Henry Padovani, and co-founder of the English rock band The Police. The programme will showcase Padovani's favourite classical rock songs in French and English. The event will be held in the following cities starting in Macau, on 18 June Guangzhou on 21 June followed by Sanya on 24 June. Sofitel Wanda Beijing celebrates its week-long festivities from 21 to 26 June with a special tribute to the late singer "Prince", at the same time features the Cuban pianist, Bombom, African guitarist, Teddy together with a group of Chinese orchestra and an international Jazz band. Sofitel Chengdu Taihe has partnered up with the Consulat General de France à Chengdu on 18 June to feature a group of talented performers from a local music school. This event will be held in conjunction with the French Gourmet Week where the hotel lobby will be transformed into a French Chateau for guest to relish and savour authentic French cuisine and wine. Sofitel Hangzhou Westlake will be holding a romantic moonlit event under the stars at the Sky Garden Rooftop Lounge with performances by leading DJs from the local music scene on 21 June. Join us and celebrate the musical highlights and events taking place this June at the Sofitel hotels & resorts in Greater China! Sofitel Legend, where heritage meets modernity. The network is composed of 5 timeless and iconic addresses that are generously infused with French luxury for ultimate indulgence. SO Sofitel, rebellious lifestyle hotels bursting with local energy. In Bangkok, Singapore and Mauritius, SO Sofitel is an experience apart from the rest, recognizable for its avant-garde design, state-of-the-art technology, surprising happenings and social experience. MGallery by Sofitel, charming boutique hotels, inspiring and singular. The intimate collection of 75 hotels stands for adventurous explorers who are clued in to travel and seek out the unbeaten path.